SHREVEPORT, LA (KSLA) - Giving the republican response to President Obama's speech Tuesday night, Governor Bobby Jindal pointed out fundamental differences in how republicans and democrats see the economy. "But what I don't understand from Governor Jindal is what would he do?," asks Joe Biden while on the Early Show. He must not have listened to the list of suggestions that dominated the Governor's short speech. And That rhetorical question to Governor Jindal on the CBS morning show, was followed with this. "in Louisiana there's 400 people a day losing their jobs, what's he doing?" asks Biden. There was only one problem with Biden's question. It was based on a lie. 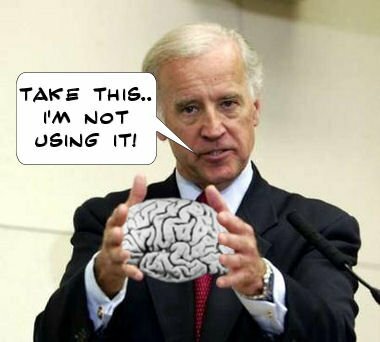 Biden is always sticking his foot in his mouth. If you look at the numbers from the Louisiana Workforce Commission. "In December, Louisiana was the only state in the nation besides the District of Columbia, according to the national press release that added employment over the month," says Patty Granier with the Louisiana Workforce Commission. According to her, not only is Louisiana not losing jobs. "The state gained 3,700 jobs for the seasonally adjusted employment," Granier said of the most recent figures. You don't even have to take my word for it, these are number you can check out yourself if you just go to laworks.net, there you can find the latest unemployment statistics, statistics that appear to directly contradict what the vice president said this morning. Many who crunch the numbers credit a growing diverse economy for Louisiana's resilience to unemployment. Many others credit the massive tax cuts Governor Bobby Jindal passed with bipartisan support which freed up investors to develop a diverse pattern of economic growth. It's unclear where the VP gets his numbers, but they certainly don't match numbers from the labor department. Many think he just made it up on the spot knowing the media would not call him on it. The unemployment rate in Louisiana is only 5.9. That is less than the national average, which sits at 7.2%. Several reporters called the Whitehouse press office today and left a message for the vice president's office, but have not received a call back.